I like to believe that the first time a man (or woman) named Glug realized they had two stones instead of one, humanity understood the importance of math. It's the basis for nearly everything we do, ranging from DNA manipulation to being able to prove that one city's sportsmen are far superior to the other city's sportsmen (or, in some cases, that they are equally as good, and both cities can be equally disappointed). The developers of Battleborn have come to acknowledge this as well, so they decided to grace us with an infographic showing their game through a more numerical lens. Given that Gearbox's last franchise, Borderlands, was essentially a glorified probability simulator, this devotion to mathematics isn't terribly surprising. It also allows them to provide some neat information about the game, especially for its five player online co-operative mode. Okay, look: the 6,375,600 co-op combinations is probably about 6,375,000 more than I'll ever see. That's both awe-inspiring and oddly intimidating. I think I'll just stick with my robotic owl-breeder and be on my way. Speaking of intimidating, Gearbox also revealed a bit of information about the game's antagonist, Rendain. Check out his direct transmission below. 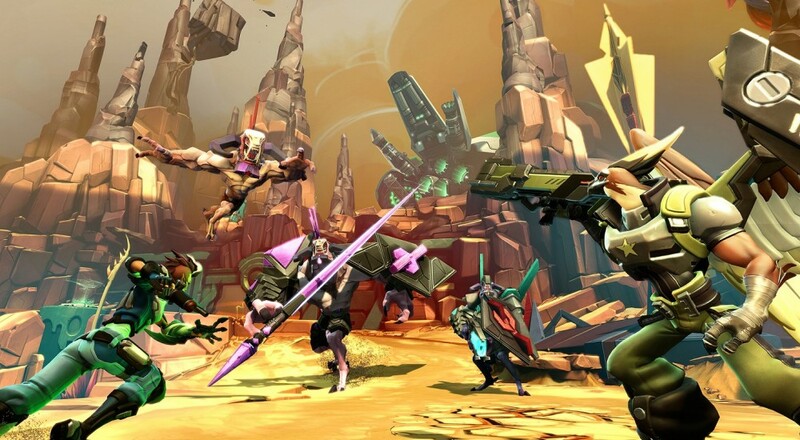 While Battleborn isn't quite ready for non-statistical consumption, Gearbox is looking for it to be all finished just after the holiday season - February 9th of next year. The game obviously sports 5-on-5 competitive mode, but extra attention seems to be paid to its co-operative story. Have you decided which of the 25 heroes you're looking forward to most? Let us know in the comments!